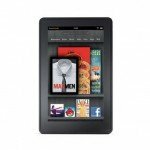 The Kindle Fire is the most popular tablet after the iPad and understandably so. It’s produced and sold by Amazon in the US market only. With the help of Unlocator you can unblock a range of apps on the Kindle Fire – please look at the table below. Underneath the skin a Kindle is in reality an Android tablet with a custom build of the popular operating system. As a result there is a long range of apps and games available for the popular tablet.